The same happens with the lower front plate, just the numbers at play are much smaller. In 8.0, the LFP offers good protection against 170-180 avg pen guns. You have better chance for bounces at very close range (20 meters or lower). You can angle up to 30-35 degrees against 203 avg pen. In this position and at close you can expect bounces by the aforementioned average penetration on two-third of the LFP (“middle” and “opposite”). Higher level guns can bounce if they hit the “opposite” part of the curved armor. At close range, tall and turreted opponents can only shoot at the beak or the better armored belt below. The middle and the opposite part of the UFP has better chance to bounce, the facing part is easier to penetrate. Range can help to protect the UFP. 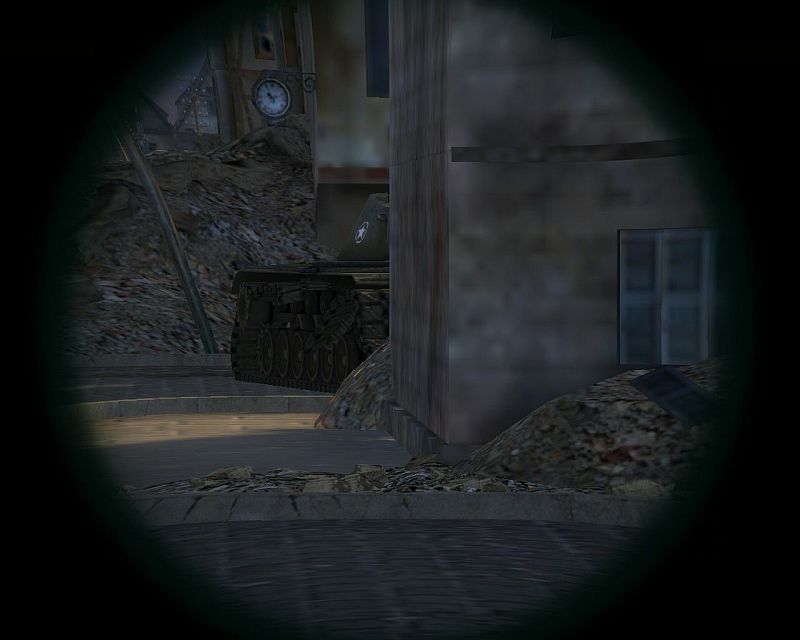 Turreted or just very tall vehicles with average or poor gun depression cannot aim lower than the reinforced beak armor or the slightly stronger armor “belt” below at 20 meters or closer. Then again, at such range your cupola is exposed. Trade-offs, remember? 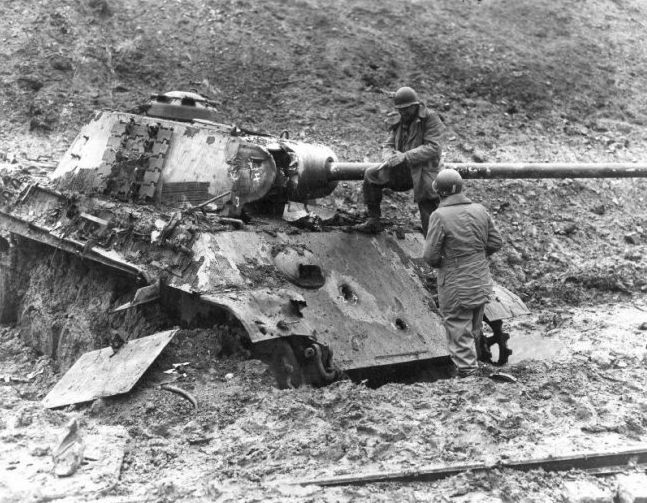 You should not forget that tanks like IS-7 or E-100 love close encounters, and it’s very hard to shake them off. The reverse speed of the E5 is very poor. Under 20 meters an M103 with 8 degrees gun depression cannot shoot at the lower plate anymore. 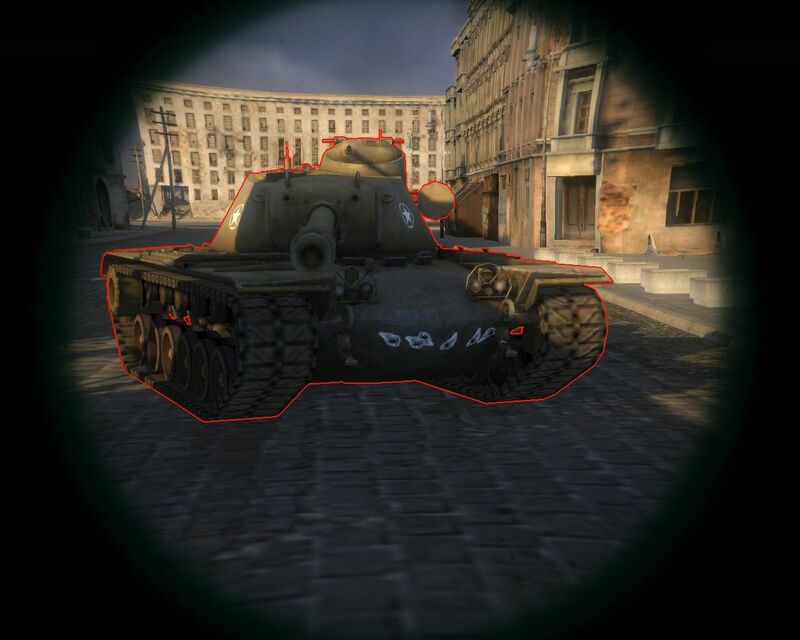 There are two zones with less than 60 mm armor thickness at the bottom left and right. I’m not sure they were there in 7.2, but I haven’t found them particularly alarming now. For one, they are hard to hit, you can just shoot the plain air between the hull and the tracks instead. Two, only direct HE hits do significant damage there, close ones on the tracks, on the ground or on the “normally” armored parts are not really different from each other. Search out firing positions where your lower hull is covered like elevations, hills, other terrain objects, wrecks, etc. A T110E5 with hidden LFP is very hard to kill from the front, especially at range. The sidescraper maneuver is possible for the T110E5 against tank guns, but TD guns with over 15 cm calibre will overmatch and penetrate the hull sides. The turret hasn’t really changed since 7.5, only the sloped parts of the commander1s cupola are raised by one gun level. As a general rule, you have to aim at the base and at the middle of the cupola. The edges, especially the rotating part can bounce even endgame guns if they hit at a bad angle. You can protect the cupola by constant moving and by the shortest possible exposure time. The closer to the mantlet parts of the “cheeks” are weaker, but the rest of the turret armor are very reliable. roof included. 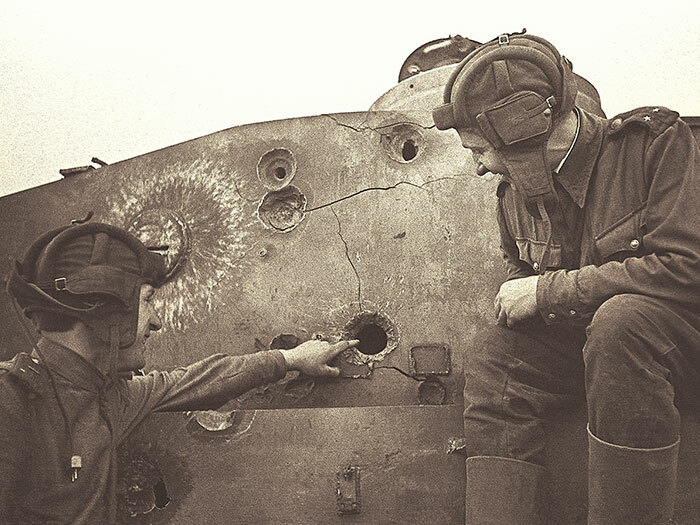 The 76 mm turret roof armor can be overmatched and penetrated by Tier X TD guns with over 15 cm calibre. 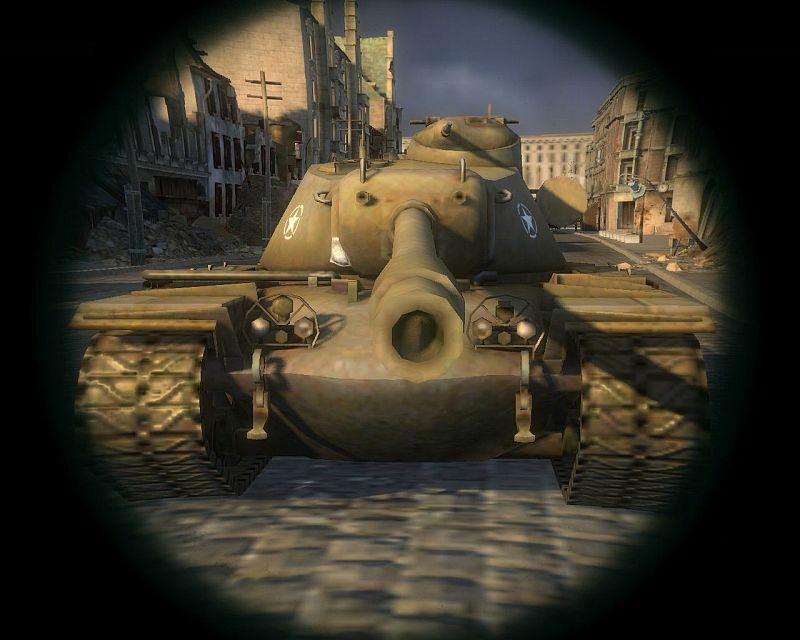 This entry was posted in 8.0, American armor, T110E5, T110E5 8.0 armor update and tagged 8.0 armor changes, how to angle T110, how to penetrate T110e5, sloped armor in 8.0, t110e5 weakspot, Which tanks will have more armor in 8.0. Bookmark the permalink. Nice, so basically, this tank can bounce anything with the UFP on a good day, all it has to do is to hide the LFP, cupola is as weak as always, but at 80+m and with 2s aimtime it’s absolutely possible to avoid damage. Looks like it’ll be better than ever. IS7 with bad gun depression, worse mobility, tragic aimtime and bad accuracy and easier to hit LFP IMO can’t compete with American powerhouse. IS-7 is the wrong tank to cry about. With 8.0 it will get a absolutly outstanding frontarmor. The IS-8 got +18% on its UFP, the IS-7 featuring even better angles will get probably ~+20%. I wouldn’t be so sure about that. And what counts is the LFP anyway, and there IS7 does not benefit that much. 260+ penetration goes through just like it always did, and IS7 can’t really hide it thanks to v. bad gun depression. Look at IS4 – its armor got weaker in 0.8, so I wouldn’t be so sure that IS-7 is really getting a buff. Pretty much any tank has the same issue. 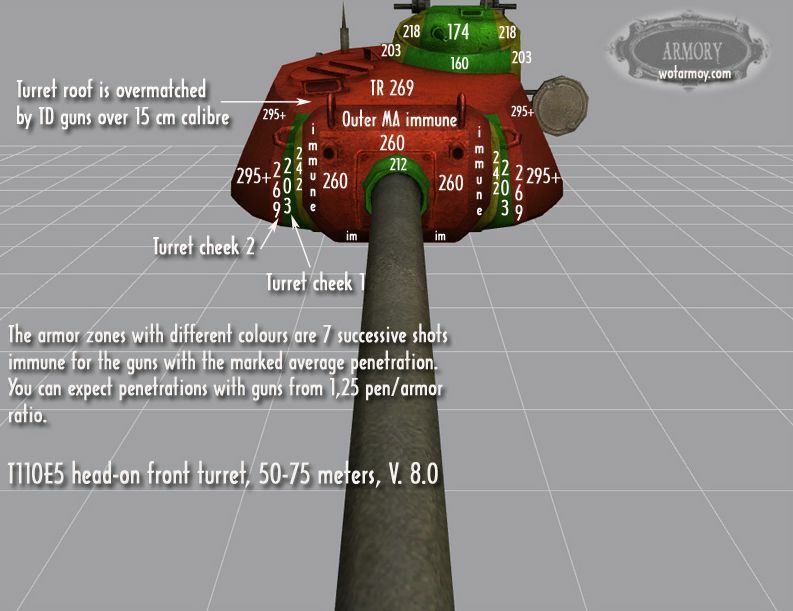 Examples are T110 turret or Maus turret and many more. With carefully aming pretty much all tanks are still as easy to pen as before in close combat. The normalisation nerf increases highly sloped frontal armor values, rest howerever stays almost untouched. This increases the chance of random bounces on distance for example. Imo, even after this nerf every TX med and TD has to loose 10mm of penetration, right now on the test server penetration values are still out of control. LFP of IS-7 will benefit 0.8.0 just as rest of its frontal armor, there is really no point in saying otherwise, angled armor buff is IS-7 buff, end of story. TheSoon, sorry to inform you, but IS7’s LFP got its angle nerfed, so I guess I was right. Nice Breakdown. This is one of my favorite WOT sites. I hope you don’t stop this blog. With the increased importance of armor in 8.0 I think this site is needed now more then ever. I’m really impressed with your writing skills as well as with the layout on your blog. Is this a paid theme or did you modify it yourself? Anyway keep up the nice quality writing, it is rare to see a nice blog like this one today.